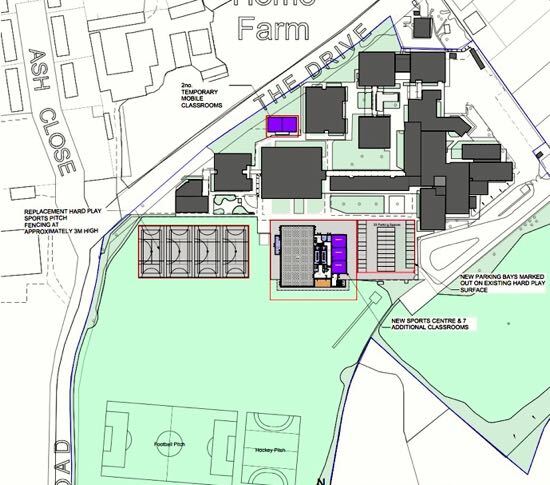 The planning application for a new sports hall and classroom block is to be resubmitted to Welwyn Hatfield Borough Council "immediately after the Christmas break", according to Chancellor's School. The decision follows the results of a survey into the likely transport impact of the plans on local roads. 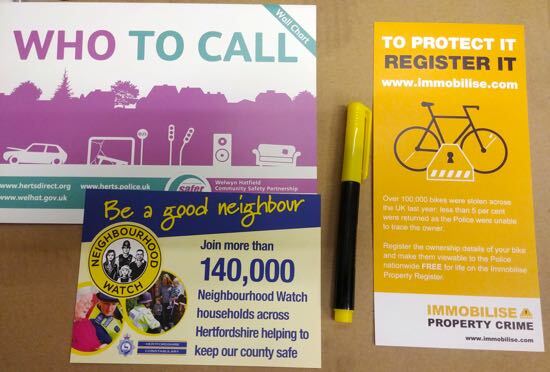 Hertfordshire police are giving away free UV (Ultra Violet) security marker pens so that local residents can mark any valuable gifts they receive over the festive period. Officers suggest items such as bicycles, laptops, and mobile phones should be marked with the owner's house number and postcode to help locate the items in the event of theft. 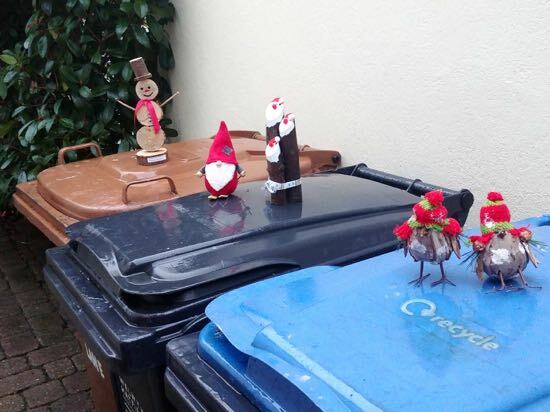 Welwyn Hatfield Borough Council and Serco have announced changes to the local waste collection services over Xmas and the new year period. The council says a regular service will be provided, including collections on Saturday 22 and 29 December and on Saturday 5 January. 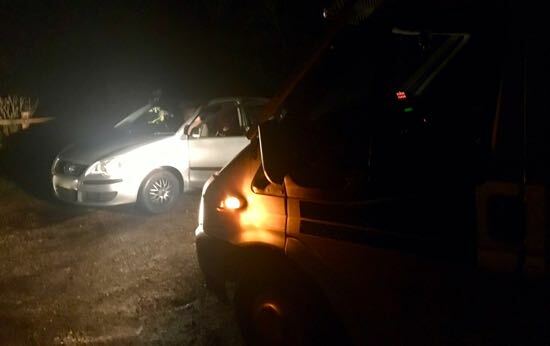 Brookmans Park's group scout leader, Ian Lewington says that there has been a break in at the local scout hut on Station Road. 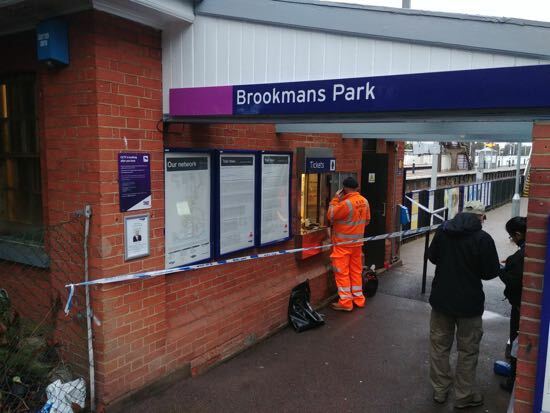 British Transport police have been taking fingerprint dustings inside Brookmans Park station ticket office following a burglary overnight. The ticket window has been cordoned off while investigations continue. 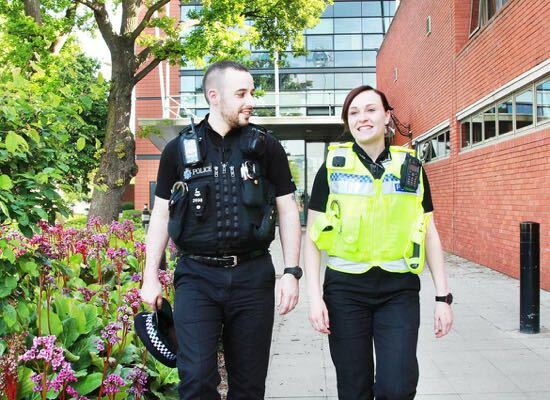 The Police and Crime Commissioner (PCC) for Hertfordshire has proposed an increase of around 50p a week per average household in order to "protect neighbourhood policing teams and investment in services for victims". David Lloyd wants to add £2 a month to the average household council tax rate to build on his investment in more officers, bringing the total to more than 2,000. 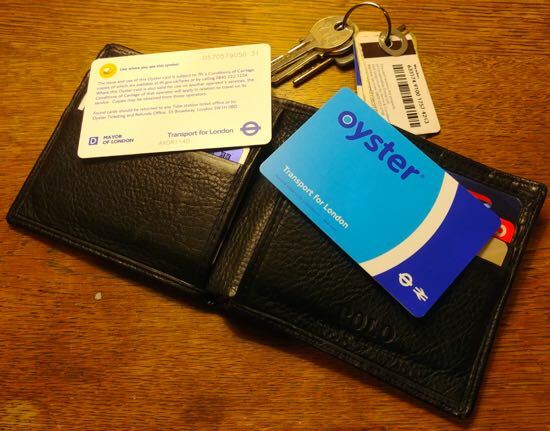 Transport minister Andrew Jones says he is unable to give a firm date when Oyster cards will be rolled out on the Welwyn Garden City line, but says it will be by the autumn of 2019, or sooner if possible. 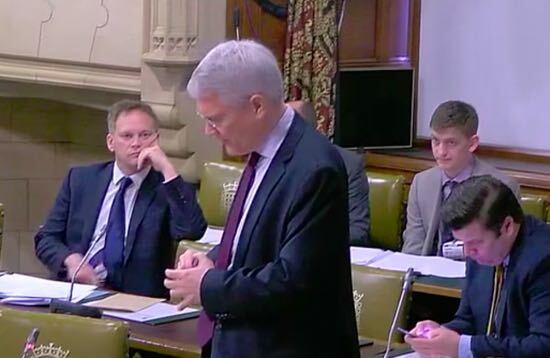 He was responding during a debate about the local rail service, called by Welwyn Hatfield MP, Grant Shapps. You can view the debate below. 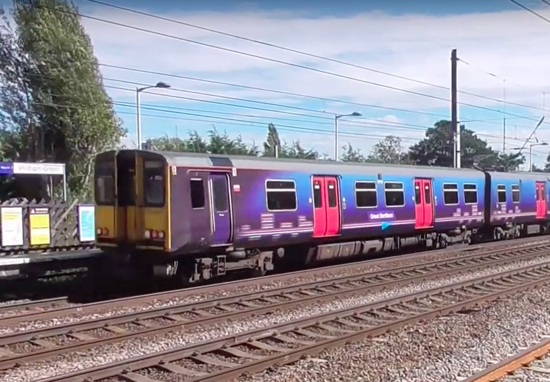 Welwyn Hatfield MP Grant Shapps secured a debate at Westminster about what he describes as "the shambolic rail services" between the constituency and London. In it he planned to "demand answers" about the performance of Great Northern Rail and make the case for Transport for London to take over the service. Welwyn Hatfield has published its latest newsletter setting out the next steps for the borough's Local Plan. 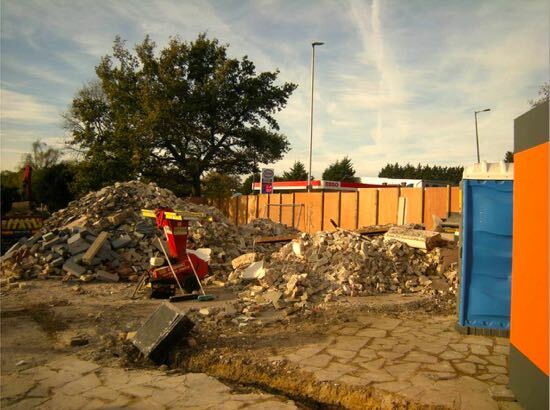 The newsletter recaps a lot of what was covered on this site earlier this month when the independent inspector, Melvyn Middleton, ruled that the council's current plan failed to meet the need for housing. 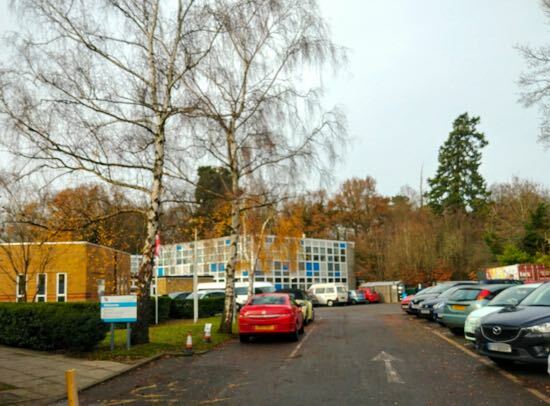 Chancellor's School is waiting for the results of a new transport survey that will assess the likely impact of the proposed expansion of the school on the neighbourhood, in particular in terms of traffic flow and parking. The school hopes the results will be known later this month or early next year. However a self-appointed group, which claims to have unanimous support of local residents is opposing the plans because "of the likelihood of increased traffic along Pine Grove, George's Wood Road, and at the junction with the Great North Road". 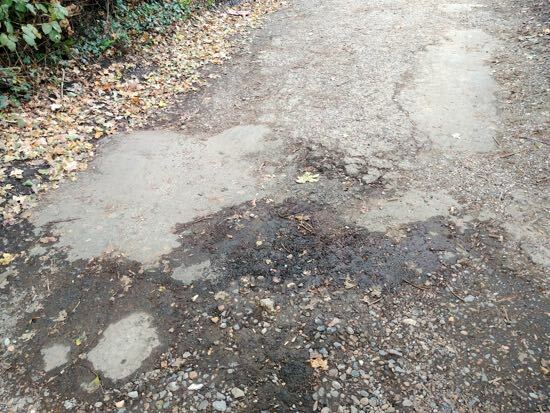 Chancellor's School has confirmed that the resurfacing of Pine Grove, Brookmans Park could last until Thursday 20 December, although the school says the work is not expected to take that long. The road will now be closed to traffic for five hours a day not the six originally thought. 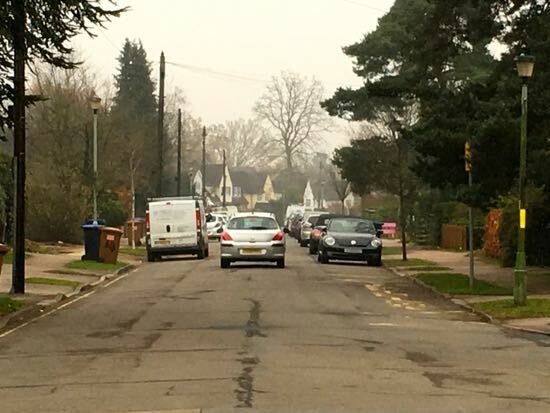 Hertfordshire County Council (HCC) had announced Pine Grove would be closed between 09.30 and 15.30, but Chancellor's School has spoken to the council and it's now been agreed that the road will reopen at 14.30 to allow for school traffic. 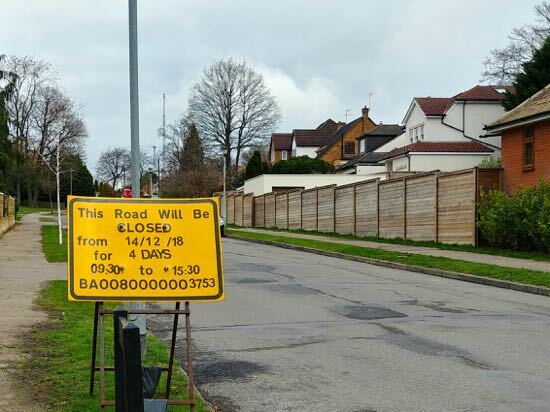 Hertfordshire County Council has notified residents in Pine Grove, Brookmans Park that the road will be closed for resurfacing work between 09.30 and 15.30 from Friday 14 December for five days. Cars will not be allowed to use Pine Grove during the work hours, and drivers are asked to move their cars before work starts. 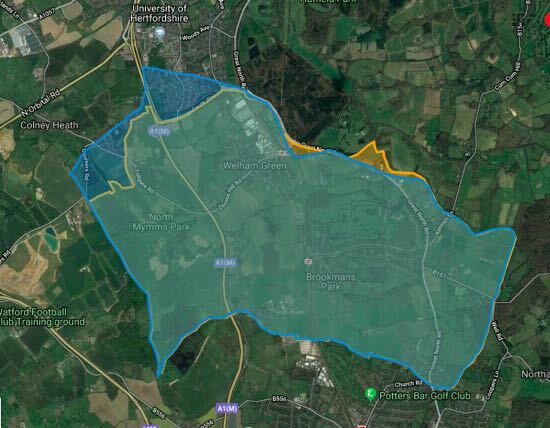 Welwyn Hatfield is set to carry out a further study of the possible sites for housing development in the borough. 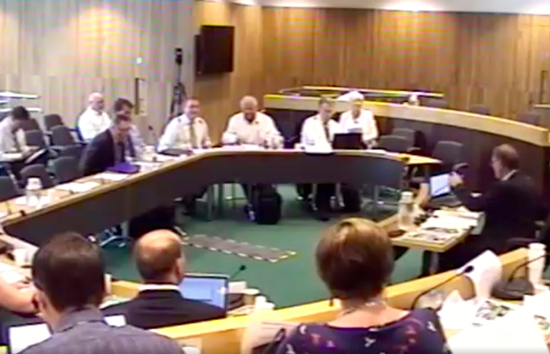 It follows the public examination of the council's Local Plan by independent inspector Melvyn Middleton who ruled that the current plan failed to meet the need for housing. 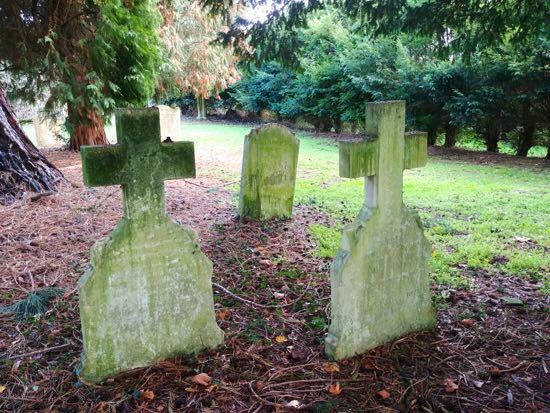 The curiosity of a four-year-old, visiting St Mary's churchyard, North Mymms, with his dad more than 25 years ago, started a process that eventually shed light on the mysterious death of a local teenager in 1888. Attempting to read the faint and fading etching on the headstone of Herbert George Town resulted in a father-and-son research project that gradually pieced together the story of 'Herby', as he became known to the pair. 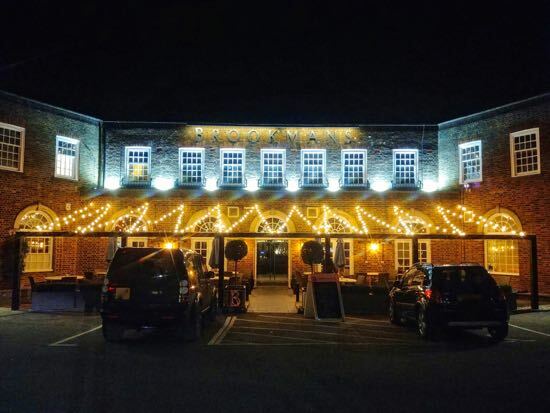 It was a massive news event that, apparently, Brookmans Park residents totally missed. 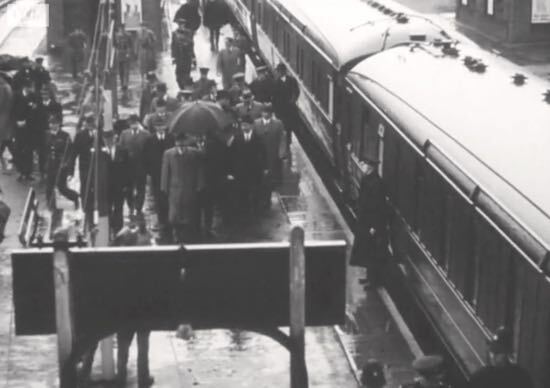 In 1942, the then foreign secretary, Anthony Eden, and his Russian counterpart, Vyacheslav Molotov, met on Brookmans Park station. Two local women were on the platform at the time, but they were too busy making sure they caught their train to notice. 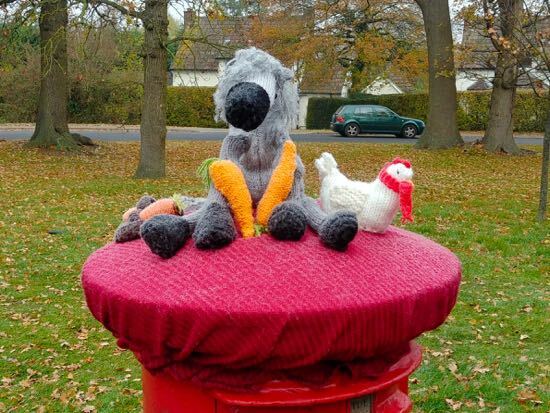 The support group for the RSPCA at Southridge has brought a bit of festive fun to postboxes in North Mymms by decorating them with knitted Christmas scenes. It's part of a fund-raising campaign that aims to add festive cheer and boost donations. 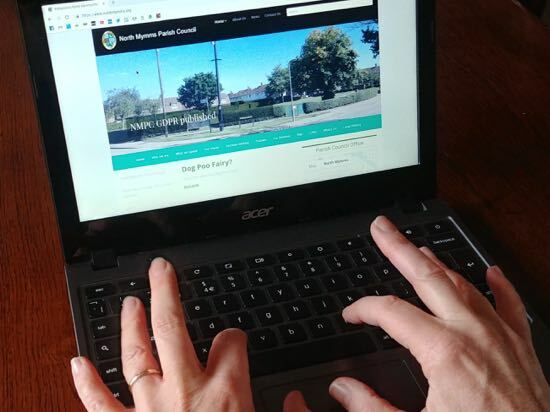 A community directory, containing news and information about North Mymms parish, could be delivered door-to-door early next year. 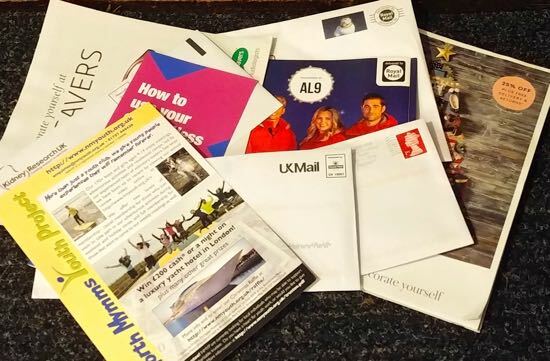 North Mymms Parish Council (NMPC) has agreed a proposal which could see the directory being put through around 3,000 letter boxes by April, perhaps even sooner. 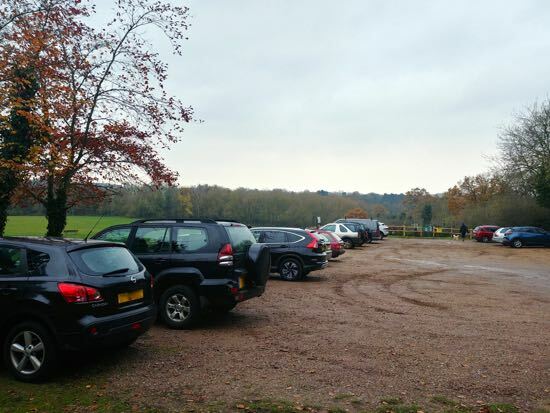 Councillors on North Mymms Parish Council (NMPC) have been considering the introduction of car parking charges at Gobions Open Space in Brookmans Park, according to council minutes. 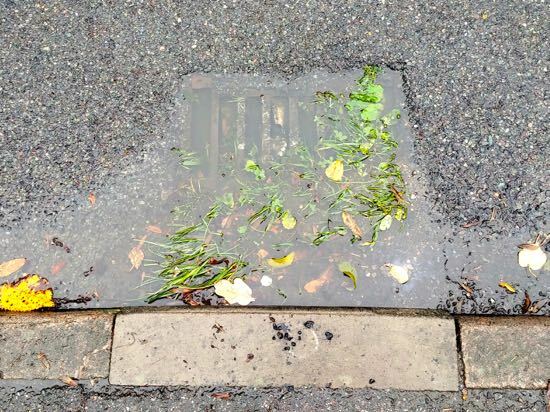 It's understood the charge, if it ever goes ahead, would not apply to North Mymms residents. The well-used car park is accessed via Jonas Way off Moffats Lane, and is popular with dog walkers, anglers fishing at Gobions Pond, and walkers visiting Gobions Wood. (Grid Reference: TL 24978 03958). At 10am on Saturday morning, November 24, there were 16 vehicles parked at Gobions Open Space. Leaflets have been delivered door-to-door by the North Mymms Youth Project (NMYP) inviting applications for the role of volunteer trustee for the charity. 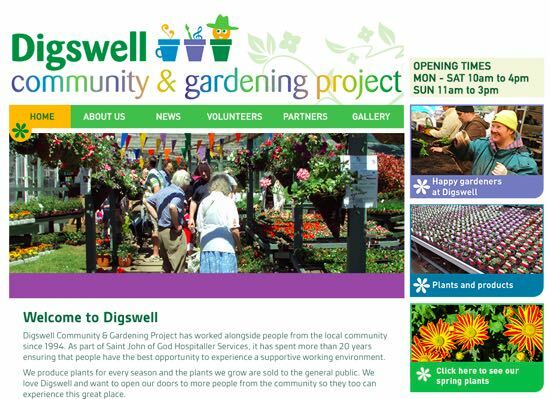 The project is hoping to appoint two or three new trustees to help ensure that the legal requirements of the charity are met. Labels: Charity Commission, North Mymms Youth Project. 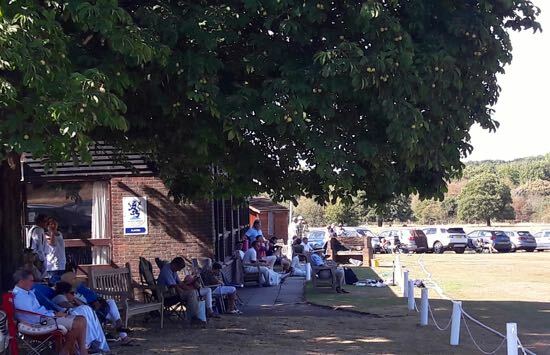 Aim to create "a legacy for generations to come"
North Mymms Cricket Club (NMCC) has made an early new year's resolution for 2019. It's to "create a sporting legacy" for the local community in order to "inspire everyone to play and support cricket". To achieve the aim the club plans to visit every school and every community group in North Mymms during the year ahead to "talk about the exciting cricket project" the club is embarking on. 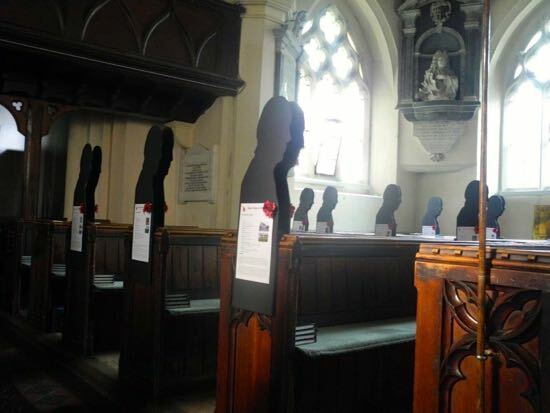 40 life-size head-and-shoulders silhouettes have been placed at the end of the pews in St Mary's church, North Mymms as part of the 100-year commemoration of the end of WWI. Attached to each of the black cutouts, designed to look like the shadow of a soldier, are details of servicemen from the parish who died during the 'Great War'. 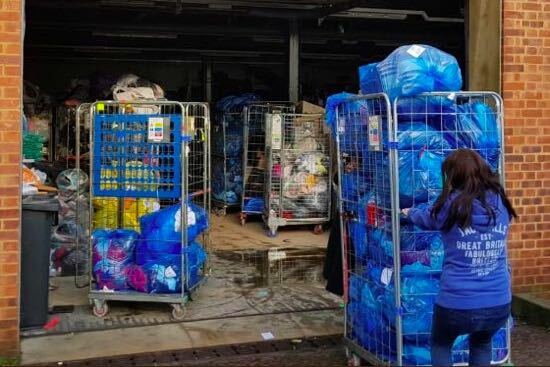 Isabel Hospice says its appeal for the public's help to try to salvage warehouse stock damaged overnight has been met with such a good response that help is no longer needed at the Welwyn Garden City warehouse, "trashed" after a break-in. 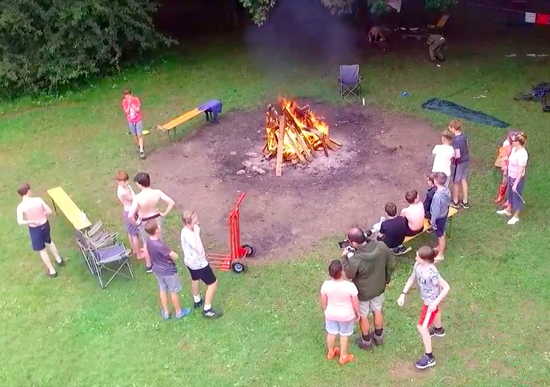 However the charity says it now needs to replenish damaged stock, and has put out a fresh appeal for donations to sell in the local charity stores. 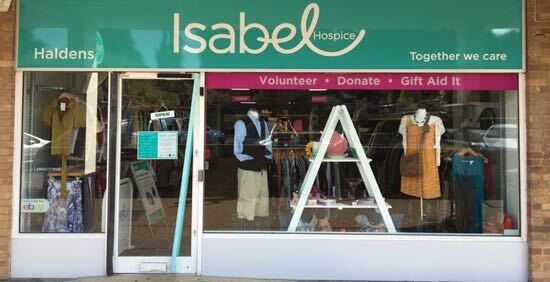 Isabel Hospice is appealing for the public's help to salvage warehouse stock damaged overnight. 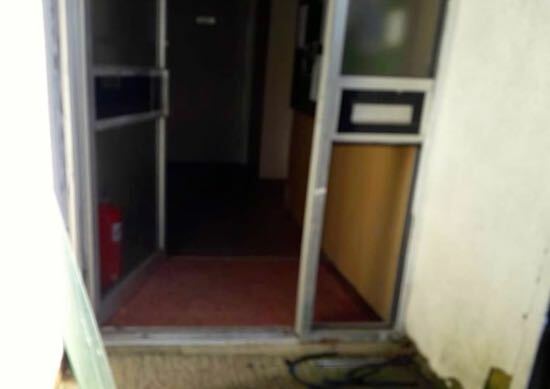 According to the charity, its Welwyn Garden City warehouse was broken into, "water pipes trashed and our shop stock is being ruined". Standing in the corner of a field south of Hawkshead Road, Little Heath, with good views to the north, south, east, and west, is the only pillbox in North Mymms. 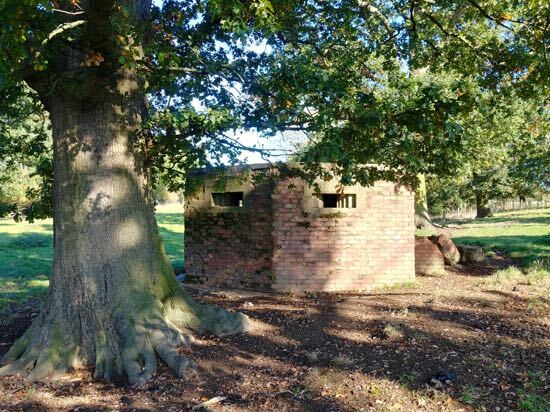 It's a type 24 box, and was part of the local WWII defences set up to protect London from invasion. To the north and east of the pillbox is a dip in the land, formerly the trench that was part of the outer London anti-tank defence line. 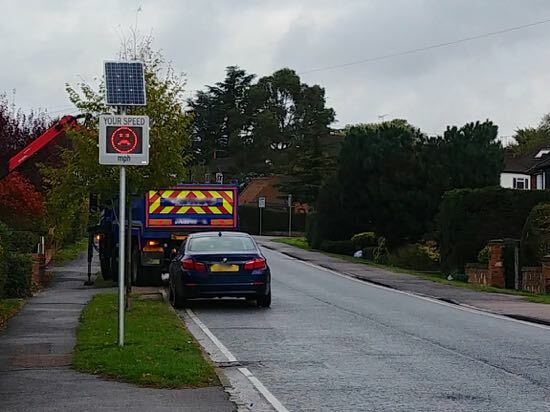 Recent speeding checks in North Mymms found that an average of 22% of motorists driving through Welham Green and Little Heath were travelling above the legal speed limit. Police say some offenders lived locally. Officers have issued an invitation to local residents to volunteers in order to help catch speeding motorists. They say members of the public are "more than welcome" to help carry out their own speed checks using police equipment. 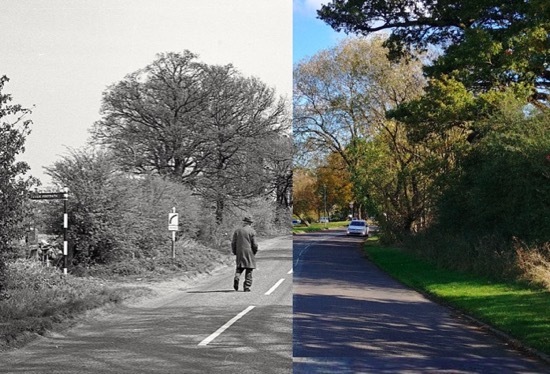 The North Mymms History Project (NMHP) has been examining how the Hertfordshire parish has changed since Victorian times by selecting images from its archives and comparing the scenes with modern day snaps of the same spots. And the results are fascinating. 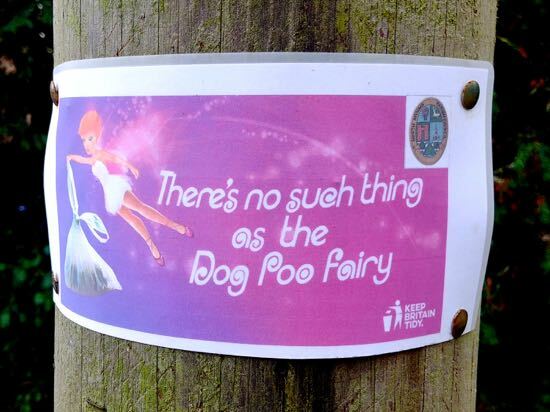 Pink and lilac posters have been pinned to trees and gate posts around both Gobions and Moffats open spaces in Brookmans Park, to remind dog owners that there is no magical solution to dealing with dog mess other than to pick it up and put it in one of the many disposal bins at the council-owned site. 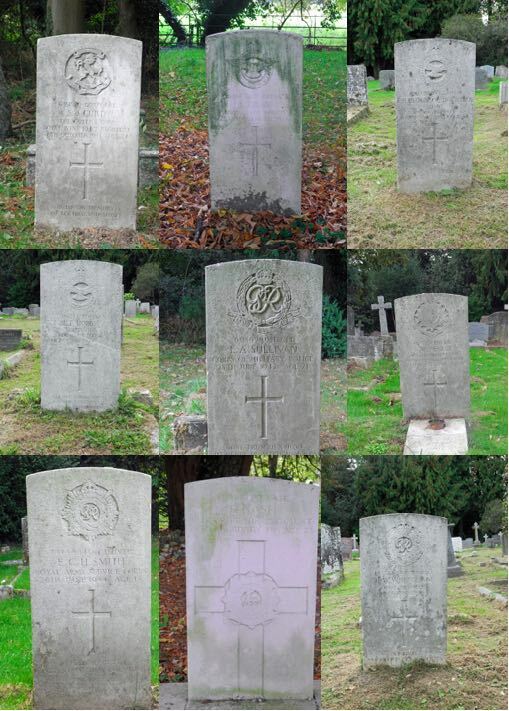 The North Mymms History Project (NMHP) has produced a digital record of the nine war graves in the grounds of the parish church. Using existing records, old maps, and new research, the site has created an dedicated page which includes recent photographs of the headstone and their details. 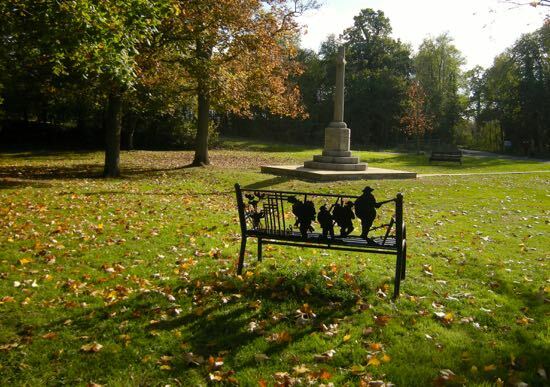 A black metal bench, depicting silhouettes of soldiers serving in WWI, has been installed at the North Mymms War Memorial outside North Mymms Park off Tollgate Road. 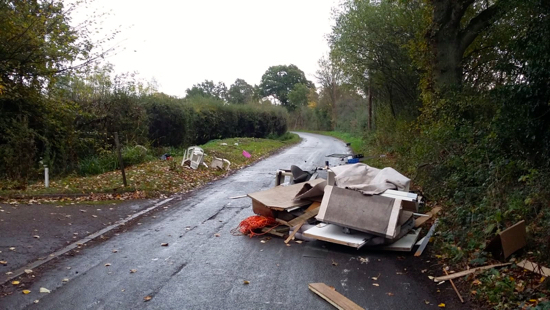 The road between Welham Green and Bell Bar, in North Mymms was blocked on Sunday morning with rubbish dumped on both sides of Bulls Lane. The authorities have been notified. 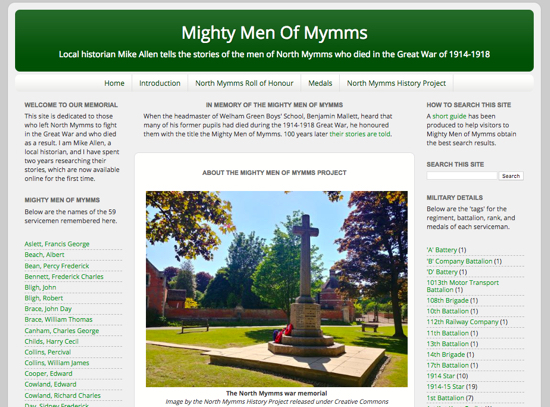 A Welham Green man who has spent a total of six years researching and writing about the lives of 59 North Mymms servicemen who died during WWI, has now published the material online. 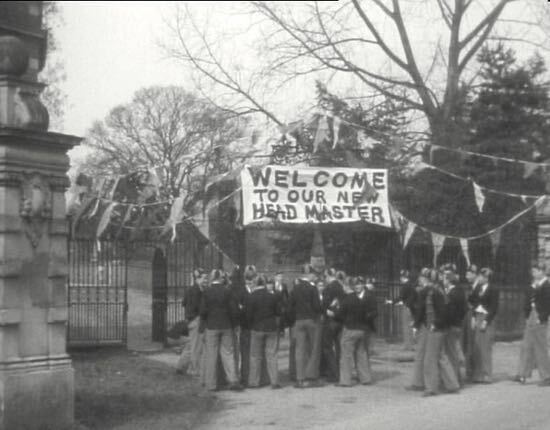 The result is a digital memory of the Mighty Men of Mymms, the name given to the men by their former schoolmaster, Benjamin Mallett, who taught many of them at Welham Green Boy's School. 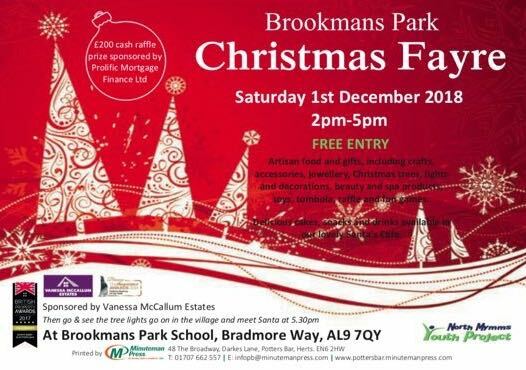 Two festive events take place in Brookmans Park on Saturday December 1, and both are free of charge. The first is the popular community Christmas Fayre held at Brookmans Park primary school. That's followed by the lighting of the Christmas tree on Brookmans Park's Bradmore Green. 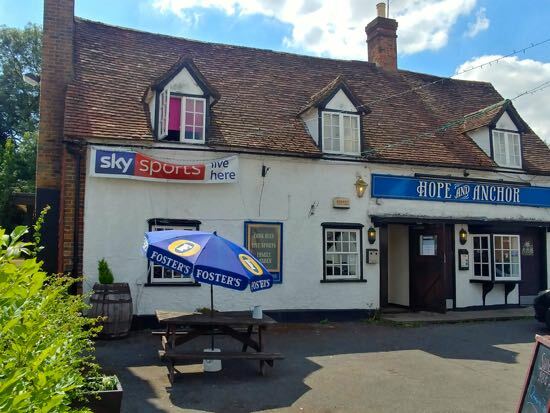 The supervisor in charge of the demolition of the former Swan Inn, Bell Bar has given assurances to a representative of the North Mymms History Project (NMHP) that the historical 18th century milestone, that has probably stood on the corner of Bell Lane and the Great North Road for almost 200 years, is safe. 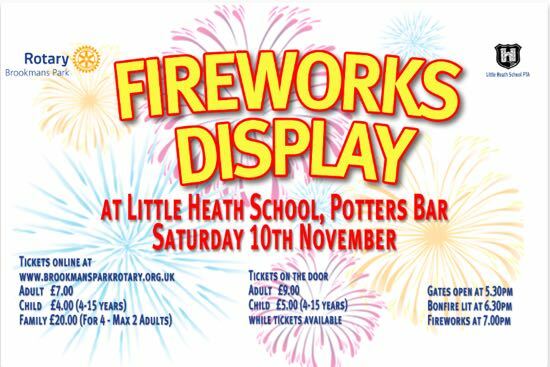 This year's community bonfire and fireworks display at Little Heath, North Mymms takes place on Saturday November 10. Family, adult, and child tickets are now on sale. 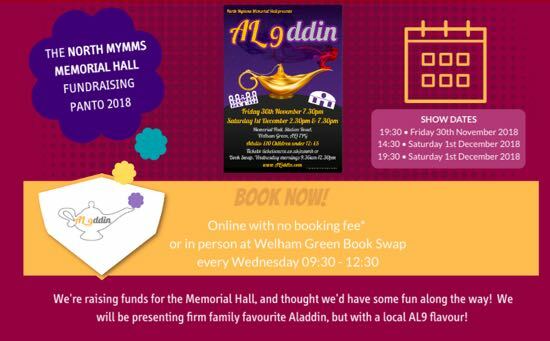 There'll be a local twist when the popular panto comes to the North Mymms Memorial Hall as local laundry boy Aladdin, renamed Al9ddin for this postcode-localised remake, searches for his magic lamp in Gobions Wood. 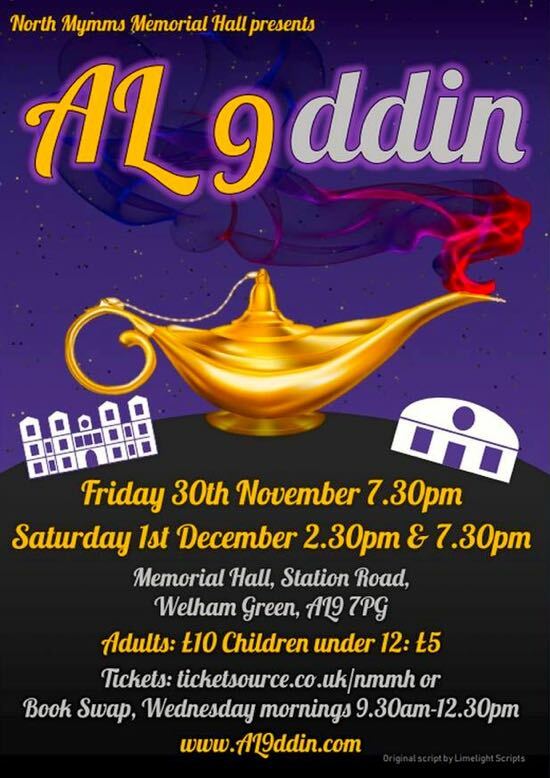 There will be three performances of the show - two on successive evenings and one Saturday matinee - which is being staged to raise funds to support the upkeep of hall. Tickets are on sale now. Work is underway to clear the site of Swan Lodge, Bell Bar, and build eight one and two bedroom apartments. 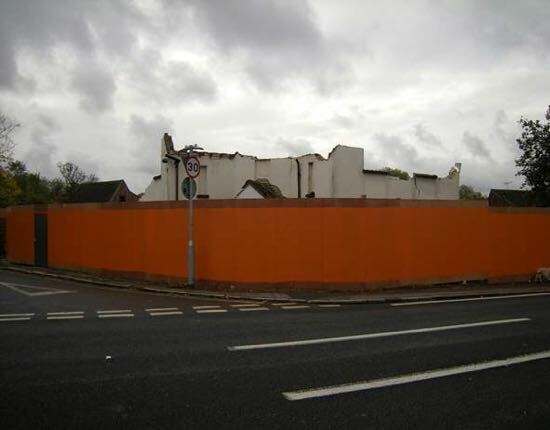 The area has been fenced off as workmen demolish the old building that once served as a important coaching inn along the Great North Road. Local historians are keen to ensure that the 18th century milestone that leant against the wall of the building is preserved, as stipulated in the conditions of the planning consent. Five months after Station Road was resurfaced, gravel is still blocking the grids and gullies preventing rain water escaping. 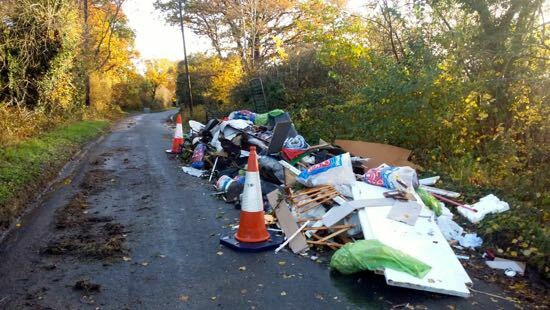 This despite Hertfordshire Highways being told to "sort it out" by a local councillor.